This four-legged chair has a clear design with a steel base which makes the chair very solid and strong. 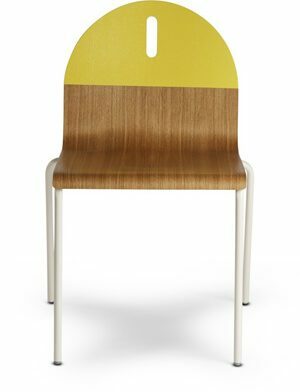 The chair is suitable for dining, conference and waiting areas. The seat of the L.A.F. Plain is easy to clean and the steel base is available in two heights. Coated Steel: Dust with a soft, dry cloth or clean with soapy water. Can be moistured slightly with spiritus. Treat once a year with acid free vaseline. PU: Clean the soiled area with mild soap and water then rinse with fresh water and wipe dry.